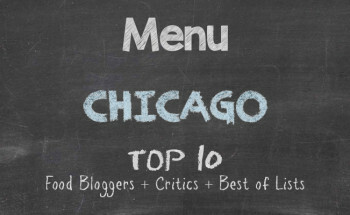 Chicago’s West Loop district has proven to be something of a Wonderland. I was already aware of the many restaurants and cafes that dotted the landscape. However, I never ventured into the meat packing district of the West Loop, except for once to meet some friends at a pork-centric restaurant that spiked my blood pressure. And I had forgotten about another high-end restaurant named Moto that I’d gladly go back to if it were not for the fact that the price for the meal would nibble considerably at my play budget. 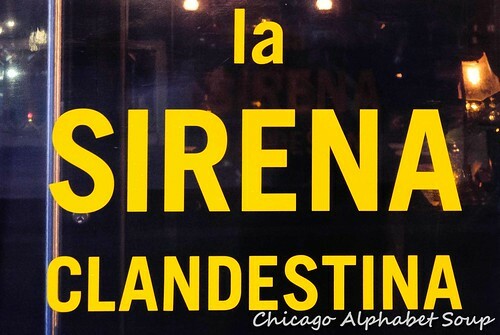 Nevertheless, there are some gems in the area I haven’t visited and one that suited my fancy was La Sirena Clandestina at 954 W. Fulton Market. At the recommendation of a colleague, I got to sample some loving from the kitchen with a heavy Brazilian influence. Having arrived early after work, I had a pick of seats near the window. I had to sit where I could take advantage of the late sunset, considering the restaurant looked like it gets rather dark. On entry, the guy who seated me kept asking if we knew each other. This has been an ongoing inquiry for the past few months. And I never manage to run into my doppelganger. After he had detected my accent, he then realized we had never met and he then told me to get a caipirinha for a cocktail, as I would not be sorry. Wow! Wow! Wow! 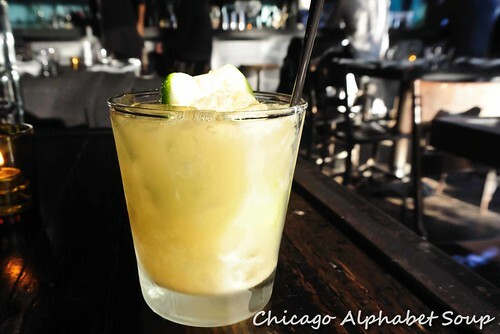 Strong, flavourful, refreshing, and addictive are just a few words that had come to mind after the first few sips. My lookalike had to have been a good friend because he started with an outstanding suggestion. Because I am a lightweight, I had to have something to start balancing out the alcohol in the caipirinha. The server had recommended the empanadas if I were one who enjoyed indulging them. I didn’t think I could go wrong with empanadas, so I ordered two, a ropa vieja — old clothes — and a squash. The Best Actor Award for keeping a straight face and trying not to squeal with food bliss goes to me. The barbecue sauce in the ropa vieja had a faint hint of goat cheese in it, which added an extra flavour that made me love that empanada even more. I have no words to describe how much the squash empanada made me want to smack the table. 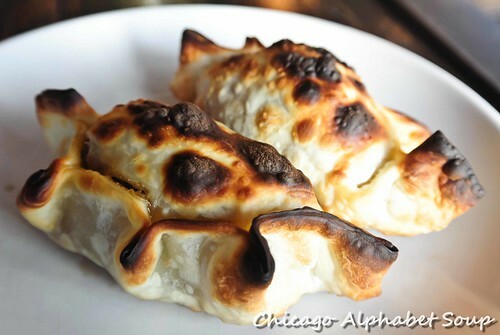 Those empanadas were nothing short of heaven in baked pastries. As always, my food alarm was ringing and I was buzzing from the caipirinha. So, I ordered a side of black beans and rice to get me worked up to a masterpiece entree item. Accented with pork, but not overloaded with it, this dish reminded me of red beans and rice and how much I loved that dish when I was a kid sitting at my grandmother’s table. 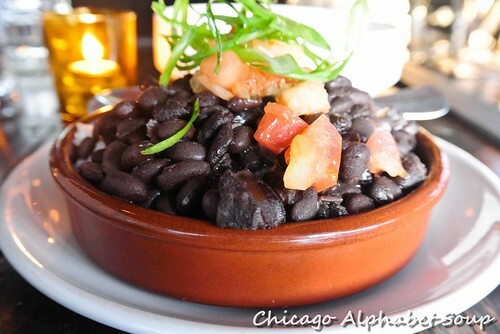 I was thankful that, unlike some black beans and rice I’ve had at a restaurant I will not name, the dish was not salty. And then came the moqueca. Different from moqueca that I have had before, it was still good enough for me to have wanted to tip the bowl and slurp afterwards. The stew seemed to lack coconut milk in the base and instead of rice, there were lentils in the dish. The mussels, prawns, and tilapia were fresh and I was happy. I was happier with the second, accompanying caipirinha. By the time I had finished everything, I should have left well enough alone. I couldn’t. I had to have more. But I had to wait. There was some dessert that needed to be loved and I had to love it unconditionally, which meant without feeling I would be too stuffed to complete a sweet. Thankful that I had my Kindle Fire with me, I read a few chapters of a book and then was ready for action again. 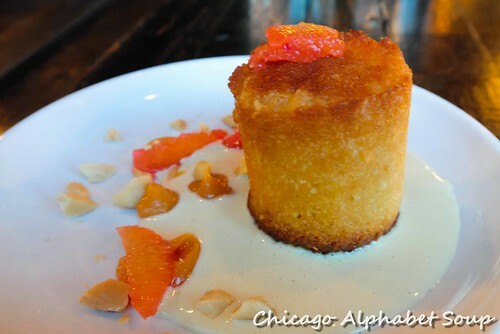 I ordered a plate of almond cake with slices of blood orange and some almonds atop a creme anglaise. Looking at the almond cake, I thought it was going to have the consistency of cornbread. It had the texture of a cloud and without being too sweet, it was a rather flavourful cloud. Because the caipirinhas were doing this “Your eyes are getting very, very heavy” thing to me, I needed some coffee to counter my food and drink comatose. When I was done with the cake, I smacked the table. 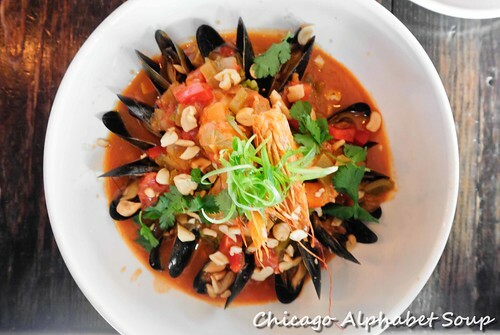 The beauty of La Sirena Clandestina is that while it is small compared to some of the big box restaurants in the West Loop, diners are not rushed. It seems like a rather great place to go for a date — or to meet before a tryst. Okay, so it’s not that kind of place, but there is an atmosphere of ease that makes it a very inviting restaurant. Add to that some delicious food, and you have the makings of a food magnet. I didn’t have the feijoada, which is a traditional Brazilian dish like moqueca, so I can’t say if all of the dishes are variations of what is served in Brazil. What I will say is that La Sirena Clandestina is in my slideshow. Love the light and composition of the photos which are so tempting. It looks like this establishment takes great pride in the cooking and presenting! Gostoso! They certainly know how to convert you into a regular patron during the first visit.